Seven has announced it is casting for a new game show, The Wall, which appears to be filming on the US set. Teams of 2 will be leaving the country to appear on the show in September / October. 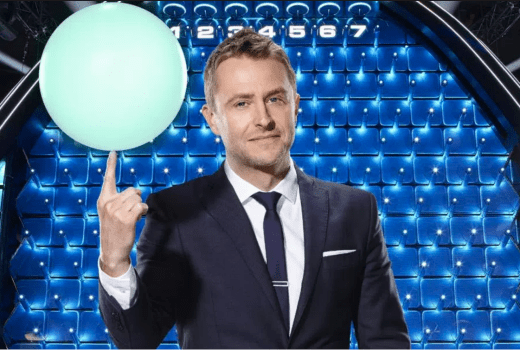 The NBC game show, hosted by Chris Hardwick, features a five-story-tall pegboard with giant balls dropped into cash zones. The show features couples for whom a life-changing amount of money adds emotional drama. “Are you an everyday ordinary Australian who deserves to get the chance to win an extraordinary amount of money?” a casting notice asks. The Australian production will be produced by Endemol Shine Australia, but it isn’t clear who will host or if the $1M will be on the board. Applicants must be over 18 with valid passports until 31 April 2018. I’m hoping someone will do a local version of Pointless – so good! I’ve seen every episode of this and really enjoy it. I think it will do very well here but it could be shortened a bit and turned into a daily game show. Channel 9 should really have picked it up and axed hot seat. Hmm..let me guess they might have Darren McCallum as the host…. ch 7 don’t have many good shows as the used to other networks have much better shows I honestly rarely watch ch7 it has gone downhill in good shows & dramas. With the success of The Chase, this looks like it’s going to be in prime time. All of the game shows I read about, never go to air. Please god no! Not another cheesy American gameshow. I’m with you bobk. Another reality show updressed to a game show.